We bought our home in 2003 knowing it was a true fixer-upper. It was purchased knowing we’d have many years of home renovations on our hands but the lot and location sold us, along with the dream of making it our own. We were a newly married couple who fancied themselves as quite handy but we were a bit naive and didn’t forecast the hurdles we would face. Our plan for the first year was to remove the dusty rose carpeting, pull down walls on the main floor to make it open-concept, and do windows. We felt prepared and aware when we moved into this 1970’s raised bungalow but within a month of the first winter it became clear that the state of the windows and roof was word than our inspector had thought as the melting snow began to pour into the house. Our plans of beautifying the home were put on hold as we redirected the monies into the roof, insulation, front door and windows. Once it was finished, we were old hats at discussing heat retention, types of windows and roofing warranties. The house looked better from the outside, our bills went down as the warmth wasn’t escaping the home but the interior looked the same. One of our larger projects (excluding the foundation repairs, furnace replacement and other BORING things) was putting in an in ground pool. This was done in 2008 when we still had many interior upgrades to make but we decided that we needed the outdoor space for the kids in the summer. It was a HUGE undertaking which I wrote about more with my post Thinking of a Home Renovation? Installing the inground pool hasbeen one of the BEST investments we’ve ever made! The kids are super active in the summer because of it and with me working from home now, my summer office is quite lovely. I will spare you the long list of projects we have completed and just let you all know that we’ve done much of the work ourselves, often making mistakes and learning by attending classes, researching online and calling in our contractor friends help. Right now we are under renovation again and this time it’s one that may challenge my sanity. Our home is a 1300 square foot bungalow with a basement we use. The current basement is brought to us straight from the 1970’s complete with the wood panelling and freezing cold floors. With 6 of us living in the home since my parents moved in with us, our daughter Sydney’s bedroom was moved to the basement and we finally hit maximum capacity. We are gutting the basement, right down to the concrete and rebuilding a beautiful space which will include a master bedroom suite, bathroom, laundry room, office, family room and storage. This project will take approximately 3 weeks, assuming there are no major hiccups (praying for a strong foundation under that panelling). As we were planning this renovation we know we needed help. This one was far too large for us to tackle by ourselves, thankfully one of my husband’s best friends is a large-job contractor and agreed to take this on with us. I look forward to sharing the journey with you all, or should I say venting about us all living in a small space crammed with everything we own? 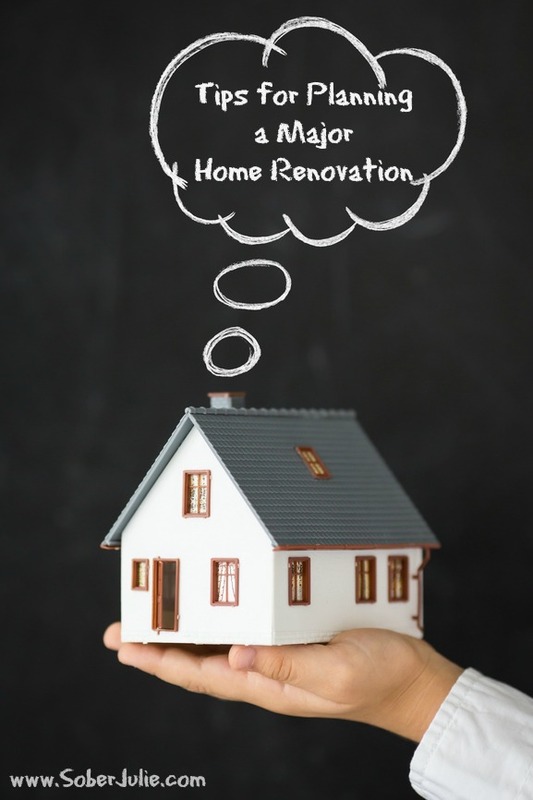 Today I’ll share some of the tips one should consider before beginning a home renovation. Know your why. What problems are you trying to solve? Most renovations begin with practical issues such as your bathroom may be cramped, you need more storage space in the kitchen etc. Keep this in mind as you plan and don’t get swayed. Evaluate the structure, systems and general condition of your house. The best start to any renovation is to assess the current state of the bones of your home. List any repairs and replacements which are required over the next 5 years before you spend your money elsewhere. Don’t cut corners to save a few dollars! Stretching a budget is a good thing but if you’re compromising quality you will be sorry. There may be ways to stretch a limited budget or you could do it in phases over time. But don’t compromise on quality-instead focus on quality work and do it over time if you have to. Check the local bylaws. We had grand ideas of building an addition but after checking with our local bylaw office we realized it would be much more cost effective to build our living space in the existing basement rather than facing the permit fees involved in a new build. Look at your neighbourhood. Each home and neighbourhood had an intrinsic value, be certain that the renovation you’re planning won’t exceed the future selling value of your home or neighbourhood. Don’t focus on trends. Home design trends come and go and much like having the staple items in your closet, plan your renovation to stand the test of time. Use your “WHY” to help you plan out the space and then decorate with the trends other wise you could find that you’ll be regretting it like I regret the wood panelling in my basement. Keep it simple. Construction and design isn’t cheap! I may want rounded walls all around my home but the cost of that isn’t worth it to me. The more complex the design the higher the budget, keep it simple in order to reduct costs and achieve the same goals in your WHY. Renovations are uncomfortable. If you’re living in the home you’re renovating be realistic about how uncomfortable. There will be the sounds, smells and DUST of renovations as you live there. We will have no laundry and because the contents are being moved upstairs, we know it will be crowded. Look at your project and be realistic about what your life will be like during renos, if it’s too much consider moving out for the duration. Over the next few months I’ll be sharing our home renovation with you all and I can’t WAIT to see it develop! This is a great post and perfect time of year when the renovation season is so close…the tips are wonderful…I hadn’t thought of the neighbourhood tip but it makes perfect sense to me…no pun intended! 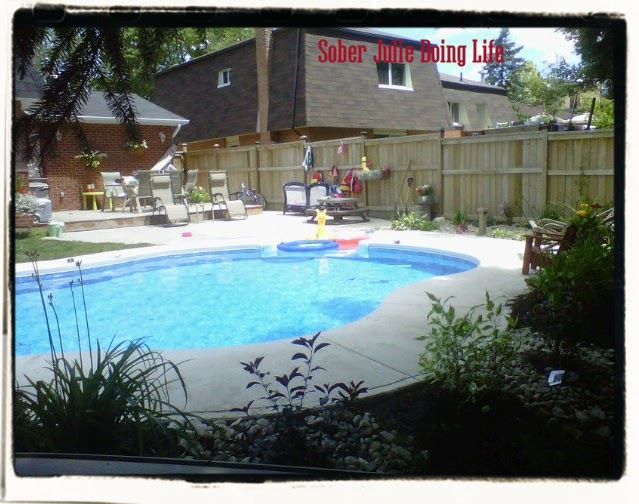 Your home looks lovely and the pool area looks fantastic! Teresa it’s something that really matters. I have a friend who put travertine tile all through her home which was GORGEOUS but she’ll never recoup the cost at resale. I look forward to following you through your reno, we are in the process of planning major work on our 1970’s bungalow! Wait we both have 70’s bungalows?? You really HAVE to share you pics with me! It makes a perfect sense to me. I can use these 10 hassle-free tips in renovating my house. 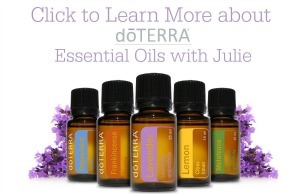 Thanks SoberJulie for doing this blog! Thanks for sharing this advice on planning a home renovation. I definitely agree that cutting corners isn’t a good idea if you want to save money in the long run. The roof of our home is starting to look a little bit dingy, so I am sure that we will be following these tips when we decide to repair or replace it. However, we have to find a contractor to actually inspect the roof first! After that, I can start planning better. I like what you said about knowing your why. When we replaced our furnace it was because it needed to be replaced. I wouldn’t advise doing unnecessary renovations, unless you ave a clear vision. This was fun to read. Thanks for sharing. The tip about not focusing on trends but rather on timeless characteristics can make or break a renovation. As you said, renovations are massive under-takings, so you want to make sure that your new look isn’t dated in a few years. By having the structure be classic, the small, easy to change pieces can be modern and trendy to update the space. These can easily be changed to evolve with styles. So, my reason for getting a renovation done is because our kitchen is way too small and there is a ton of room for more rooms on our property. The budget is definitely there for us to able able to pull it off and I am really excited to get started on it. Thanks for telling us all t he tips to make sure the renovation goes smoothly. That’s awesome that you guys took the initiative and fixed up your house. I also like your tip to not cut corners on your budget. Although it is tempting to buy cheap, I have usually done a lot better when I get high quality goods or materials because they last longer and cost less to maintain. Thanks for the post! I understand what you went through. My parents recently bought a home that has ended up being a fixer upper. Right before we moved in, we realized that the whole inside of the house would have to be repainted. Having to perform renovations on your new home keeps things into a greater perspective. Wow! your home looks fantastic especially the pool area. And this really awesome that you guys took an initiative to renovate your home. And yes i also do agree that you need to know the purpose behind your renovation. I mean why are you doing so. Spending money useless is no good. Nice post. Keep up the nice work! Be always cooperative with your contractors. It is also your responsibility to check with them your suggestions and they should consider. My husband and I are planning to renovate our bathroom soon. It is very outdated and the layout is a little awkward. I have a lot of extravagant ideas, but I know that we don’t have the money for what I have in mind. My husband knows a little bit about construction but we will be hiring a contractor to do a majority of the work to make sure everything is done correctly. 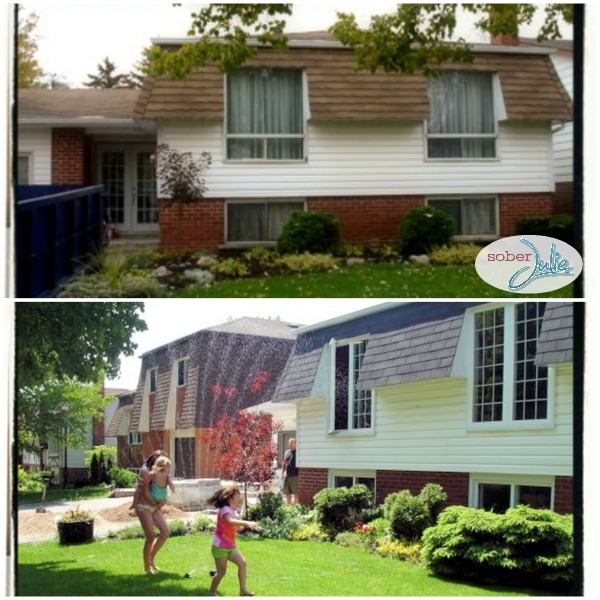 It’s truly amazing how a new roof can change the entire appearance of a home so drastically! Thanks for sharing your list of tips for a home renovation. I think the biggest thing to consider is to know your why. If I can focus on the outcome and the reason I’m doing it, I think I can live through a renovation much more easily! Thanks for the tips for planning a major home renovation. We are looking at remodeling the entire kitchen and living room area, so I think that qualifies as major. I agree that cutting corners is not something we should do, and I don’t plan on it!